Founded in 1991, Pantech used to be a strong competitor of Samsung and LG, making South Korea home to three big mobile phone makers. Since its establishment, Pantech expanded its business eagerly, acquiring another big name in the industry: SK Teletech. Pantech once was the second largest phone maker in South Korea after Samsung in terms of market share, with its popular products including the “Vega” series. However, excessive expansion became a financial burden for the phone maker, and Pantech ended up seeking a debt restructuring after it was damaged by the financial crisis in 2007. Innovation helped Pantech made a breakthrough. Pantech was the first to adopt the Android operating system for smart phones in South Korea, and it adopted new technologies to impress customers (such as a finger scan system) ahead of other makers. 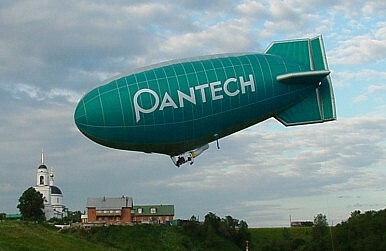 It finished its debt restructuring in 2011, but it was too late for Pantech to catch up to the other two big players, who had expanded their businesses to the global market. Pantech had to go through a debt restructuring again in 2013 after having about 800 employees on unpaid vacation. The company is currently seeking a new owner. Many worry that this might bring a negative effect on South Korea’s venture market. Pantech was considered a successful example of a venture company which grew enough to compete with conglomerates. Choi Ki-chang, a professor at Seoul National University’s Department of Engineering, said in an interview with ETnews that the collapse of Pantech will discourage many young entrepreneurs in South Korea and damage the venture business ecosystem. What will happen to Pantech? Its future seems to be gloomy at the moment as no one has shown interest in purchasing the financially damaged phone maker. As of April, Pantech had failed to find a buyer for the third time, and now the court and creditors are back to the point where they may decide to liquidate the company. In an effort to improve the situation, Pantech has decided to hold an exhibition showing people and buyers that the company is determined to overcome its difficulties and go forward. The exhibition consists of about 430 photos showing Pantech’s history and important remarks. Letters from Pantech fans wishing a good luck are displayed as well. Not many expect this to bring a dramatic change to Pantech’s situation, but the fact that the company has no option other than holding an exhibition explains how desperate Pantech is to survive. India-South Korea Relations Under the New Modi GovernmentIs This the End of South Korea’s Semi-Charmed Export Life?South Korea’s Emergence as an Important Player in CryptocurrencyRidesharing Hits a Speed Bump in South KoreaMore South Koreans Are Learning Vietnamese. Why?